Comparing and Ordering Decimals - A PowerPoint presentation that illustrates comparing and ordering decimals in the context of money. Money	Practice - online quizzes - Add the money and choose the correct answer. 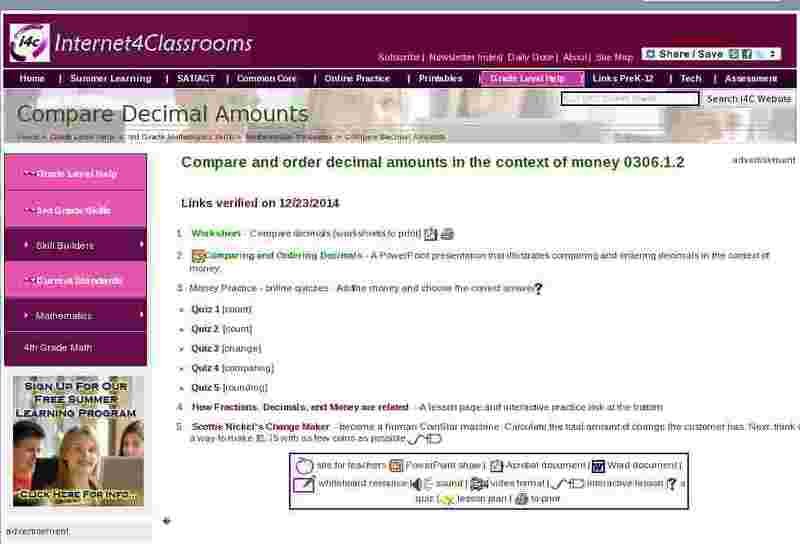 How Fractions, Decimals, and Money are related - A lesson page and interactive practice link at the bottom. Scottie Nickel's Change Maker - become a human CoinStar machine - Calculate the total amount of change the customer has. Next, think of a way to make $1.75 with as few coins as possible.